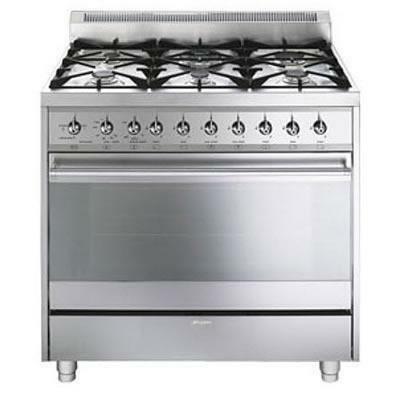 Smeg 36" freestanding gas range with 6 gas sealed burners features heavy duty cast iron grates, automatic electronic ignition and storage compartment beneath the oven. 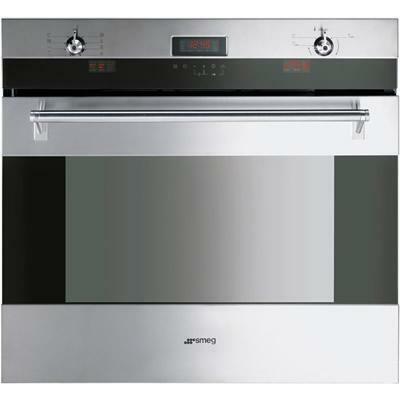 Additional Information -Oven: Air cooled triple glazed removable door. 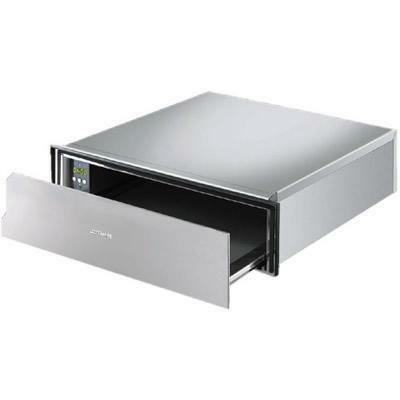 Storage compartment beneath the oven. Halogen oven lights. 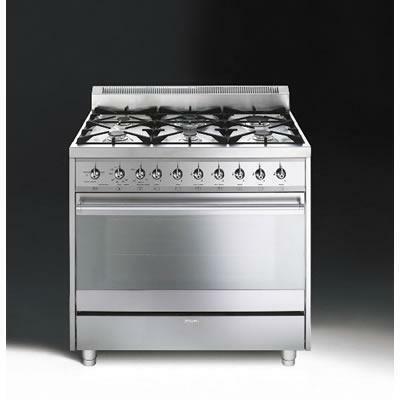 Gas broil element: 19,000 BTU, Gas bake element: 18,000 BTU. -Ergonomic control knobs. 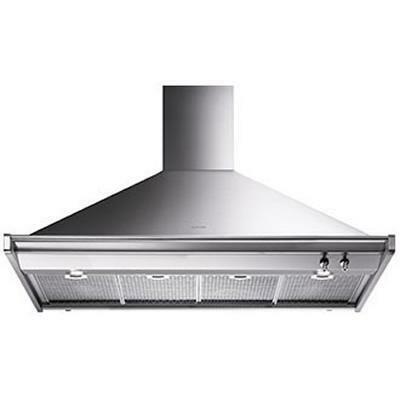 -AISI 304 stainless steel. -Range Top: Heavy duty cast iron grates. Full width grates. Automatic electronic ignition. Safety valves. -LP Gas conversion kit included. -5" Polished stainless steel backsplash. 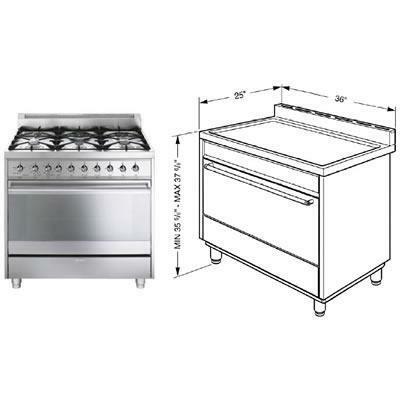 -Included accessories: 2 Baking trays, 1 Broiler rack, 2 Wire racks, 1 Wok ring. Burners/Elements Output -Front right: 6,200 BTU rapid burner. -Back right: 10,000 BTU rapid burner. -Front center: 3,400 BTU burner. -Back center: 15,000 = 3,000 (inner) + 12,000 (outer) BTU double inset super burner. -Front left: 3,400 BTU burner. -Back left: 6,200 BTU burner. 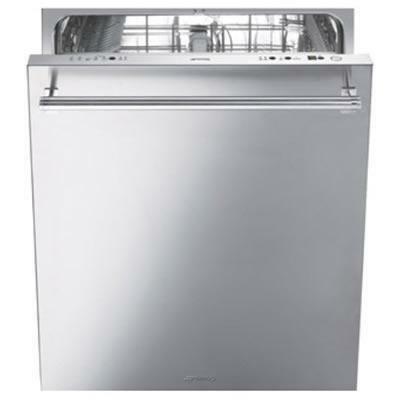 Smeg pre-finished 24" dishwasher with finger print proof stainless steel door and professional handle. Featuring 10 wash cycles, stainless steel tub and filter, 5 temperatures and 2 cutlery baskets. 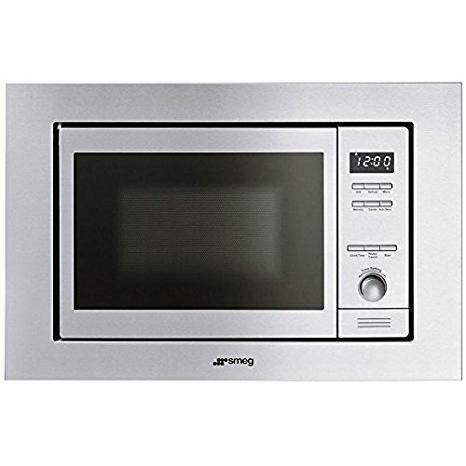 Smeg 3.58 cu.ft single wall oven with digital display. 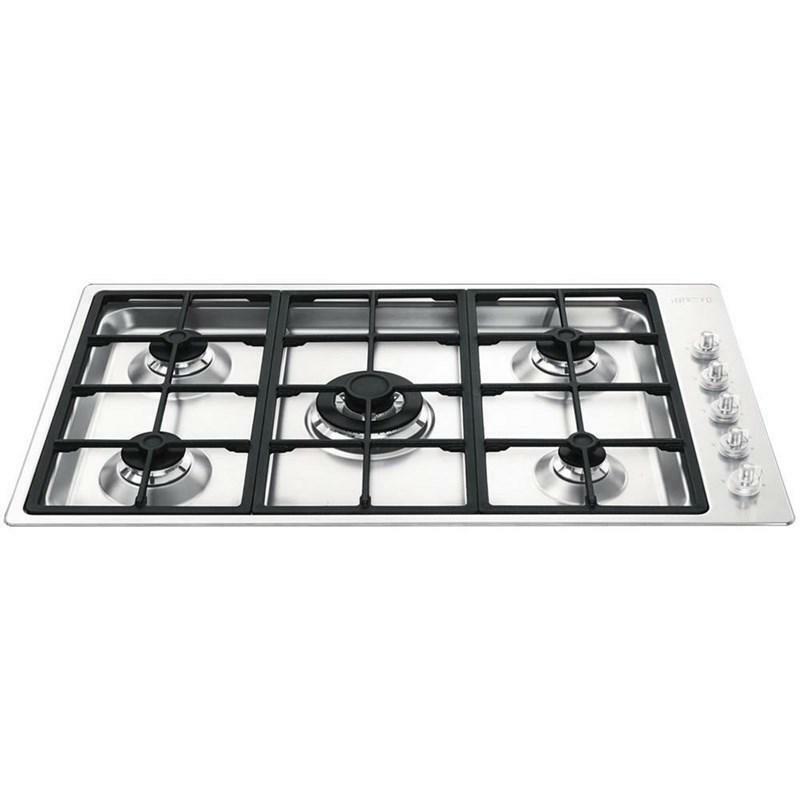 The Classic design electric wall oven features True European Double Convection, multifunction oven with 11 cooking modes and automated oven switch-off when door is open.